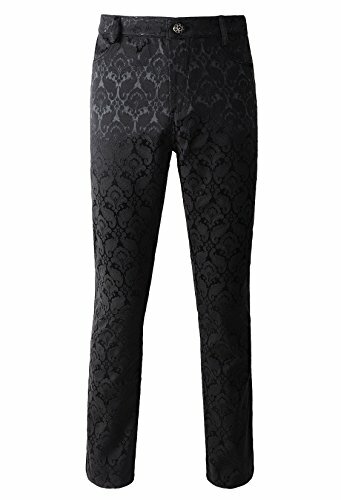 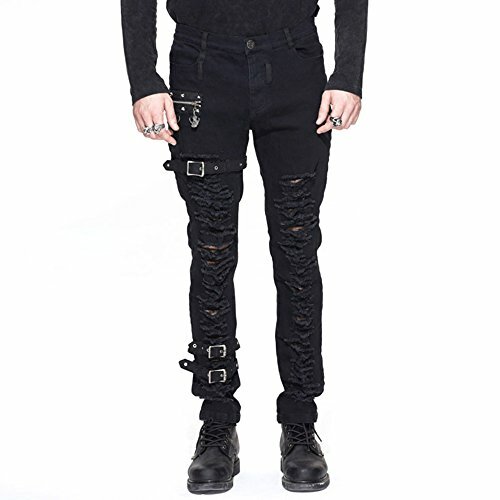 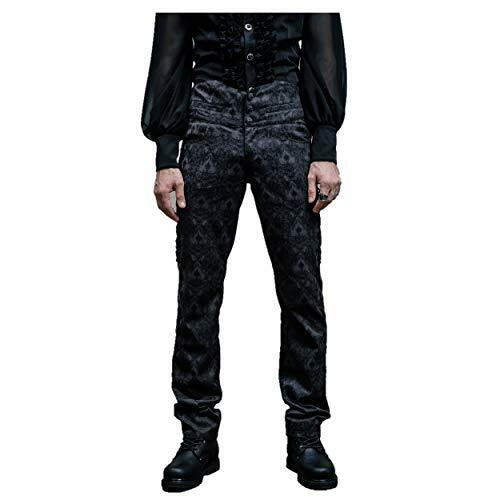 Men's Obscura Trousers Pants Steampunk Black Brocade Vintage Gothic Victorian 3 Buttons Pluz Zipper on Front/Most of our items are SLIM & FIT style. 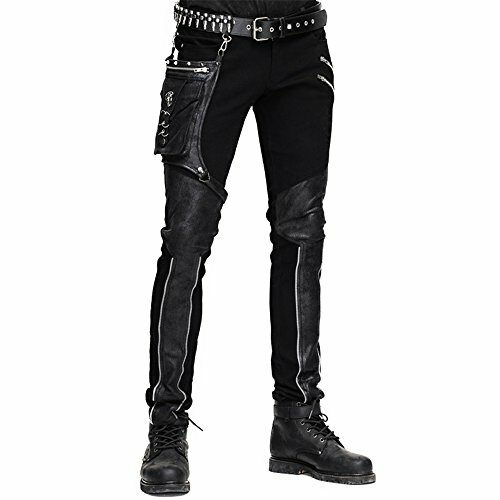 2 Front & 2 Back Pockets/If you haven't tried our goods before,We suggest you to pick 1~2 size bigger items. 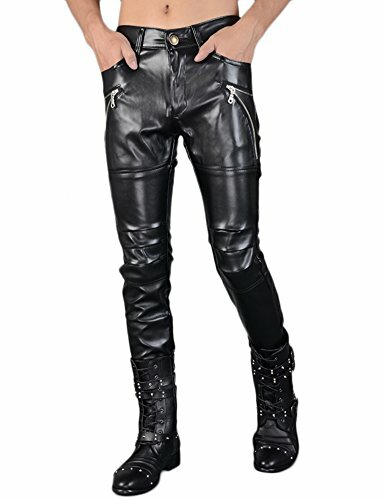 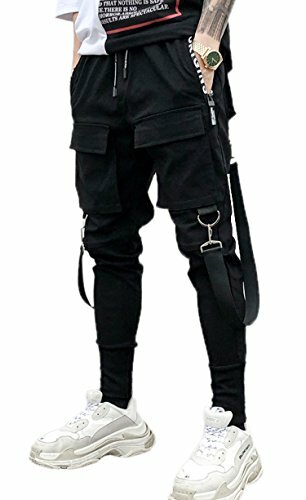 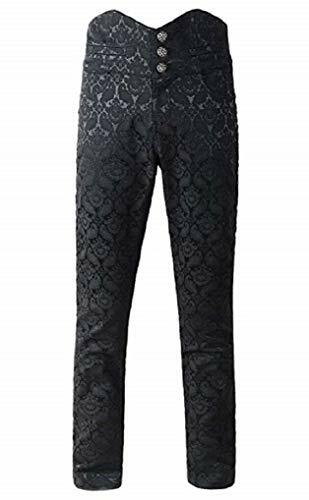 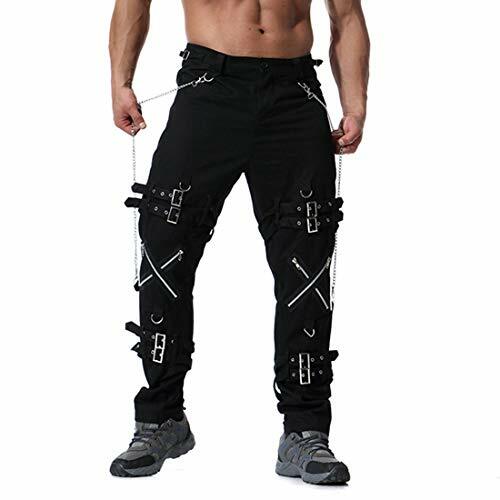 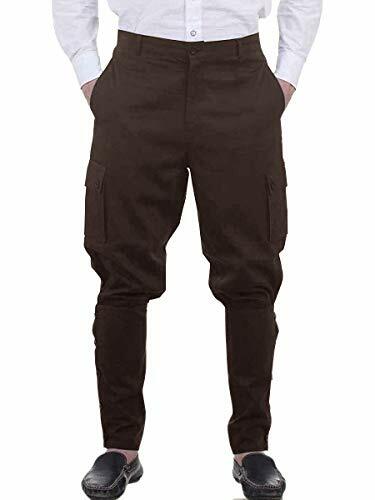 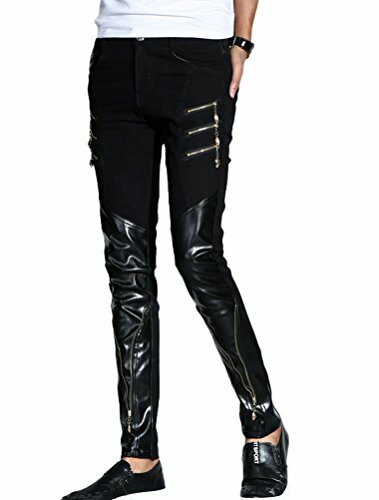 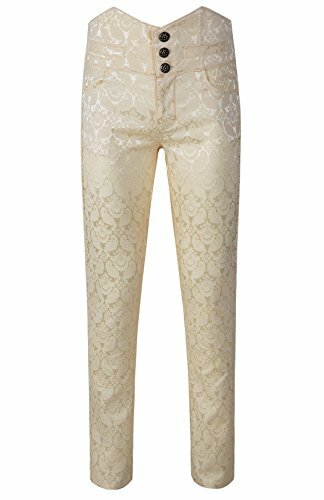 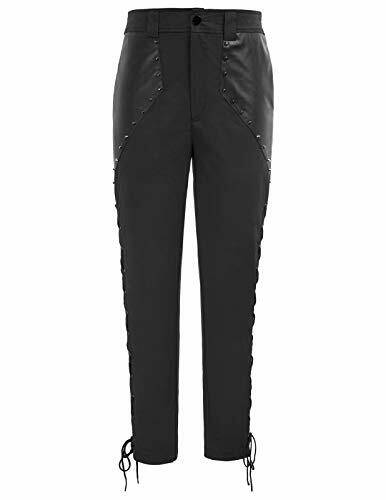 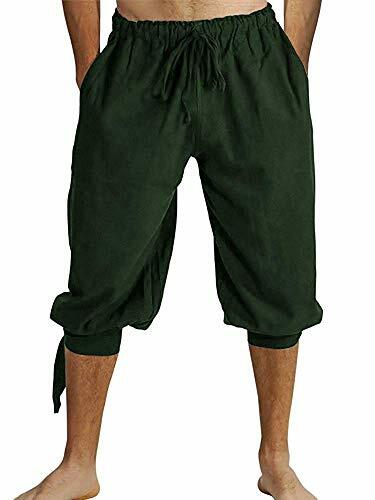 Feature: Jodhpurs style, button cuffs at calf, Tapered Leg，hips with fitted calves, cargo pockets on sides Men's ankle medieval viking navigator gypsy hippy pants， costume jodhpurs Wear it in summer, spring， autumn and winner. 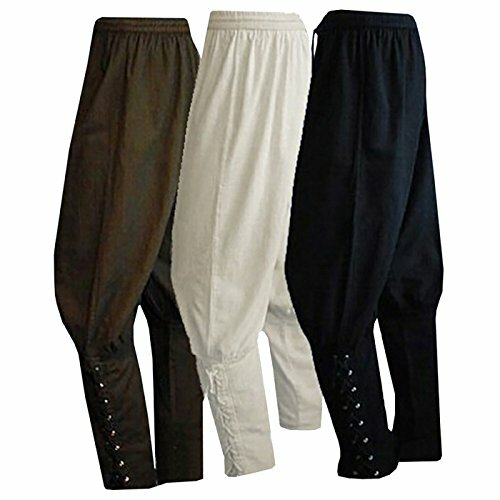 Suitable for Casual, Active, Party, Cosplay, Stage Performance, Wedding, Dance etc.